Are you ready to head for adventure and get in the best mind, body, spirit shape of your life? Join Yoga Trek Nepal! You get a 16 day life-changing challenge that starts with your guided fitness training before you leave your home country. 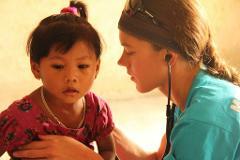 Then, arrive in Nepal to meet your local fitness guides! We spend a day acclimating in Kathmandu, and preparing for trekking up, up, up for the next 2 weeks as you climb high into the mystical regions of the Himalaya on the Annapurna Circuit route. You will go over the world's highest mountain pass - Thorong-La. After 16 days of trekking and fitness you will be toned, healthy, and FIT! And you will have shaped up in a fun way, while hiking through one of the most exotic, and spiritual places in the world! Don’t just trek – Fitness Trek! Spend a “Fitcation” with Trekt Himalaya! Have fun and help them enrich their spiritual life. 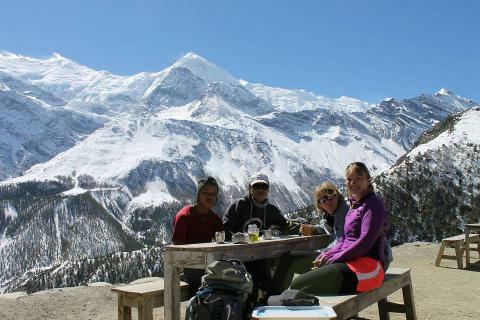 Your local guide and a yoga trainer will accompany you on one of Nepal’s most beautiful treks to the Annapurna region. 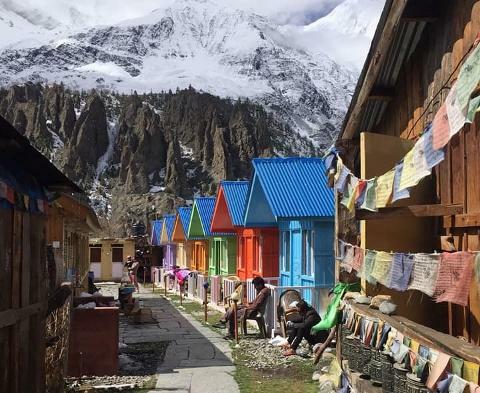 Each day we will begin with our morning workout and yoga, followed by a healthy breakfast, and then a full day (5-6 hours) of trekking through the world’s best mountain vistas and ancient Himalayan villages. Your reward for a hard days workout? Evenings filled with a fun as recount the day with your fellow fitness trekkers, and a healthy meal at a traditional teahouse. 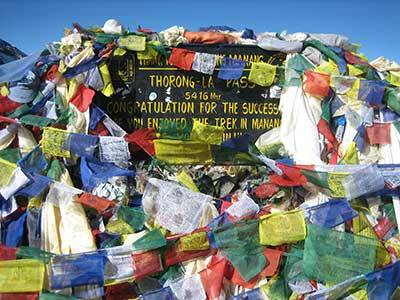 This trek takes you over the famous Thorong-La pass, so bring your prayer flags! 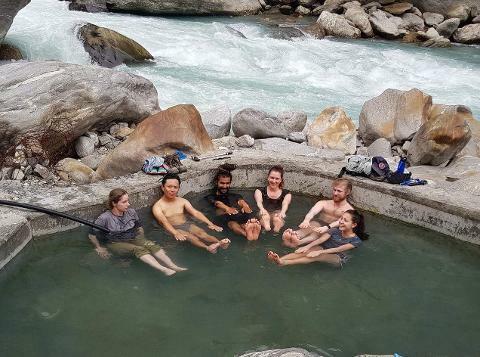 Education Experience: You will learn to eat healthy, tone specific muscle groups, focus on breathing, meditation and yoga techniques… Oh, and did we mention, all this while joining in one of the world’s most breathtakingly beautiful treks?! 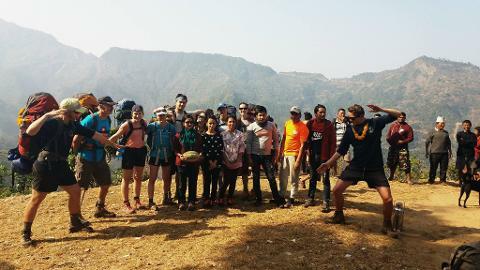 You will also learn about Nepal lifestyle through this cultural immersion experience. Find out why Nepali people are some of the world’s strongest, most agile climbers and athletes. In these life-changing 16 days, you will learn a different sense of time, and how less ticking of time is healthier for your NEW FIT BODY! Also Check Yoga Trek to Everest Base Camp for alternate dates. This trek is similar, but focuses on the famous hike to Mount Everest.